PLEASE READ THE FOLLOWING RESELLER TERMS AND CONDITIONS OF SALE CAREFULLY (and all agreements incorporated herein by reference), as it is a legal agreement between you, the purchaser of ecobee product(s) ("Product" or "Products") and ecobee Inc. ("ecobee"). These ecobee reseller/distributor terms and conditions of sale (“Standard Terms”) are attached to and form part of the purchase order (“Order”) to which these Standard Terms are attached. The Order, the Standard Terms and all appendices attached hereto are together the “Agreement”. The Agreement is between ecobee Inc. (“ecobee”) having its place of business at 250 University Ave, Suite 400, Toronto, ON M5H3E5Canada and the distributor specified in the Order (“Distributor”) having it’s principal place of business at the address specified in the Order and is effective as of the date signed by Distributor (“Effective Date”). No variation of these Standard Terms shall be binding unless agreed in writing between ecobee and Distributor. 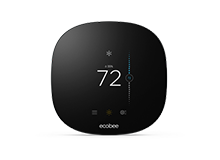 ecobee is a manufacturer of smart thermostat products. Distributor is an HVAC contractor or distributor and wishes to market and sell certain of the ecobee family of products. This Agreement sets out the terms and conditions on which: (a) ecobee authorizes Distributor to resell certain designated ecobee products; and (b) ecobee will sell such products to Distributor in order to allow Distributor to re-sell and distribute such products to customers as expressly authorized in this Agreement. (a) in the case of a Distributor located in Canada, Canada; and (b) in the case of a Distributor located in the United States, the United States, and (c) for all Dealers, regardless of their own location, worldwide excluding the United States and Canada. Dealer’s authorization is non-transferable and non-exclusive. Dealer acknowledges that ecobee reserves the unrestricted right to directly sell, market and distribute, or to grant to others the right to sell, market and distribute the Products in the Territory and the Designated Channel. Dealer further acknowledges that ecobee also reserves the unrestricted right to grant exclusivity to a particular country or countries outside of the United States, and. Distributor’s authorization is non-transferable and non-exclusive. Distributor acknowledges that ecobee reserves the unrestricted right to directly sell, market and distribute, or to grant to others the right to sell, market and distribute the Products in the Territory and the Designated Channel. Distributor is not authorized to sell Products directly to end user customers who are buying for their own use and not for resale. DISTRIBUTOR AGREES TO NOT SHIP PRODUCTS BETWEEN CANADA AND THE UNITED STATES. Pricing: Product pricing is reflected in the Order. All amounts are in U.S. 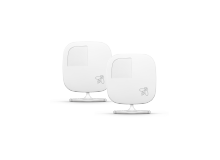 Dollars, unless otherwise stated by ecobee. Prices for future orders are subject to change without notice, at ecobee’s sole discretion. Prices are C.P.T. Distributor’s designated North American warehouse unless otherwise specified in a particular Order. Distributor will pay, in addition to the stated price, all charges for transportation, freight and handling of the Products and all taxes howsoever designated, levied or based on the purchase price of the Products or their use including federal, state, provincial and local, excise, sales, use, privilege, excise, personal property or other taxes, and all other rates, levies, fees, assessments or other charges imposed by any government (municipal, provincial or federal) on or in respect of this Agreement or the Products or their purchase, delivery, possession, use or operation. Sales Restrictions. Company will not sell or transfer inventory to any other distributor for the purpose of online or cross-border resale, aka “transshipping”. Company further agrees not to sell product on any third party websites/webstores (such as, but not exclusive to, Amazon.com, ebay.com, etc.) without the written consent of ecobee. Minimum Orders. Distributor Order may be subject to any minimum order requirements specified by ecobee from time to time and such minimum order requirements may be adjusted by ecobee at any time in its discretion with or without notice to Distributor. Returns: Distributor must accept all Products tendered under this Agree­ment. Under no circumstances is Distributor permitted to reject Products tendered or to return Products without ecobee’s prior written consent, unless otherwise specified on a particular Order. Defective Products shipped to Distributor may be returned only with a “Product Return Authorization” or (“PRA”) provided by ecobee prior to return, subject to Section 17 below, and must comply with ecobee’s policies and procedures then in effect. Approved returns must be accompanied by a Product Return Authorization (PRA) number issued in advance. Credit for returns complying with PRA procedures will be issued by ecobee only upon receipt and inspection of returned Product as follows: (i) in case Distributor paid by credit card, to the Distributor credit card used to make payment, and (ii) in all other cases, by check. All returns must be in the original ecobee packaging and contain all items provided with the Product. Distributor must prepay freight and all related transportation costs for all returns; risk of loss passes upon delivery to ecobee. 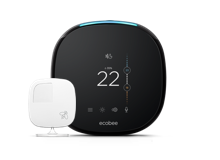 Specifications: Product features, dimensions and other specifications set forth ecobee sales lit­erature or Information are subject to change. ecobee may, without affecting its obligations under an accepted Order, make changes in the specifications of the Products delivered under a Order from those contained in sales literature or Information. Entire Agreement and Amendment: This Agreement constitutes the entire agreement between the parties pertaining to the subject matter hereof and supersedes all prior agreements, proposals, promises, inducements, representations, conditions, warranties, understandings, purchase or sales orders, negotiations and discussions, whether oral or written, of the parties. As used herein, the term “Agreement” shall include any such future modifications, amendments, supplements or other changes hereto. No terms or conditions which may be contained in Distributor’s order forms, purchase orders or any other document not agreed to in writing by ecobee shall bind ecobee. This Agreement will enure to the benefit of and be binding upon the parties and their respective successors, heirs and permitted assigns.ecobee reserves the right to change the terms and conditions of this Agreement at any time and without notice and Distributor is responsible to review this Agreement each time Distributor submits an Order. Intervening Events: ecobee shall not be liable for delay or failure in per­formance resulting from acts or events beyond the control of ecobee, including but not lim­ited to, strikes or labour or industrial disturbances, civil disturbances, acts, orders, legis­lation, regulations or directives of any government or other public authorities, acts of pub­lic enemies, riots, sabotage, blockages, embargoes, shortages of labour, materials and suppliers, delays or failures of suppliers, lightning, earthquakes, fire, storms, hurricanes, floods, washouts, explosions and acts of God. No Assignment: Neither this Agreement nor any right granted hereby is assigna­ble by Distributor without ecobee’s prior written consent. ecobee may assign this Agreement at any time without notice to Distributor. Severability / Waiver: Any provision of this Agreement which is unenforceable in any jurisdiction shall, in such jurisdiction, be ineffective to the extent of such prohibitionor unenforceability without invalidating the remaining provisions hereof or affecting the val­idity or enforceability of such provision in any other jurisdiction. No delay or omission by a party to exercise any right or power it has under this Agreement or to object to the failure of any covenant of the other party to be performed in a timely and complete manner, shall impair any such right or power or be construed as a waiver of any succeeding breach or any other covenant. All waivers must be in writing and signed by the party waiving its rights. Independent Parties: The parties are acting hereunder as independent contractors and nothing contained herein shall be construed as creating any partnership, joint venture, franchisor-franchisee, or agency relationship between the parties. Neither party shall have any right, power or authority to bind or obligate the other. Notices: Any noticeor other communications given under this Agreement shall be in writing and shall be given by delivery in person or by overnight courier service (with signature required) to the address specified for ecobee above and for Distributor on the Order and shall be effective upon receipt.